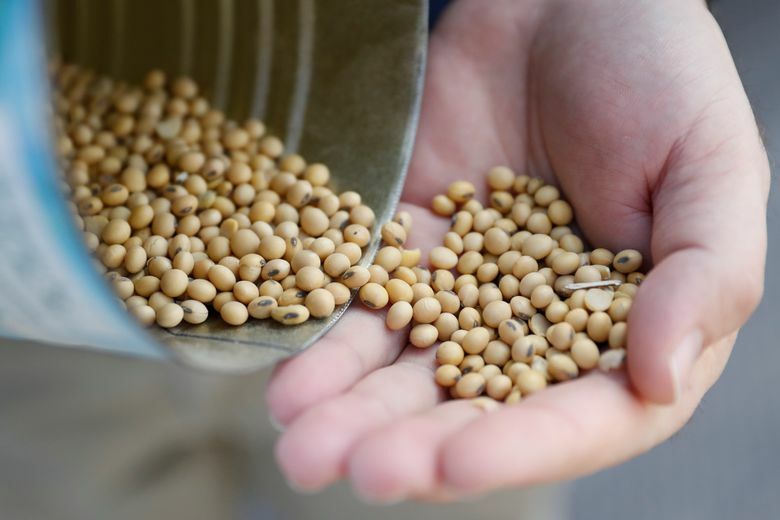 Chinese companies followed up the trade pledge within days by purchasing about 4 million tons of U.S. soybeans. Farming is one of the few areas in which the United States sells more to the rest of the world than it buys, China included. Powerful lobbies represent American agricultural interests in Washington, D.C. And farmers tend to be enthusiastic Trump supporters. The emphasis on soybeans has drawbacks, critics say. In the confrontation with China, for example, it diverts attention from the tough tech issues that divide the world’s two biggest economies and may decide whether Beijing or D.C. presides over the economy of the future. And it implies that the Chinese might be able to avoid substantive concessions on their economic policies simply by agreeing to buy more American stuff and putting a dent in the massive U.S. trade deficit with China. That amounted to $336 billion in 2017 and was likely higher last year. In a Feb. 1 letter, Senate Minority Leader Chuck Schumer of New York and fellow Democratic Sens. Ron Wyden of Oregon and Sherrod Brown of Ohio warned Treasury Secretary Steven Mnuchin that any deal with China should force Beijing to end the abusive practices that put U.S. tech firms at a competitive disadvantage and to enact fundamental economic reforms that would make the Chinese market more accessible to U.S. and other foreign firms. America’s trading partners are well aware of the outsize influence farmers enjoy in D.C. When Trump last year started slapping import taxes on Chinese goods and on foreign steel and aluminum, they targeted their retaliation on the American Heartland, imposing tariffs on soybeans and other farm products. China’s soybean tariffs had a devastating effect. Before the trade hostilities erupted last year, China bought nearly 60 percent of the soybeans the United States exported. 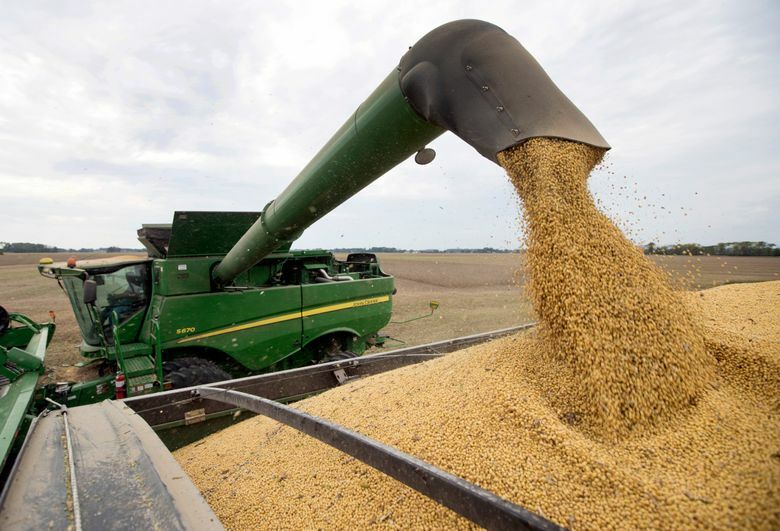 Then the tariffs kicked in: In the first 10 months of 2018, U.S. soybean exports to China dropped to 8.2 million metric tons from 21.4 million metric tons a year earlier — a 62 percent free fall, according to the U.S. Department of Agriculture. 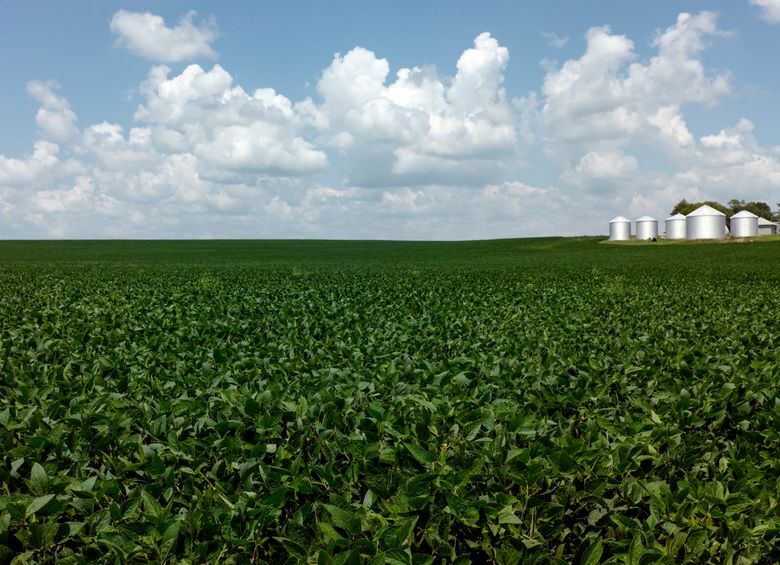 Even after U.S.-China trade tensions ease, soybean industry consultant John Baize said it might be a good idea for the U.S. and China to scale back their soybean trade. The economic and geopolitical rivals are likely to clash again over issues such as trade, Taiwan and Chinese territorial claims in the South China Sea. Soybeans could once again be held hostage. Information about the February purchase of soybeans by Chinese companies was reported by Bloomberg News. Associated Press reporters Darlene Superville and Deb Riechmann in D.C. contributed to this story.